Will The Next UN SG Be A Woman From Eastern Europe? The United Nations consist of 195 states, including two observer states. There are independent states which are not members of the UN due to various political reasons. Only member states have the right to vote. So, the Vatican (Holy See) and Palestine, who have observer status, cannot vote. Since the UN was established in 24 October 1945, it has practiced regional rotation for high profile jobs, including the post of the UN Secretary General – SG. UN member countries are categorized into five Regional groups – African Group, Asia-Pacific Group, Latin American and Caribbean Group (GRULAC), Western European and Others Group (WEOG) and Eastern European Group. Except WEOG, all other regional groups consist of countries within their region. But in the WEOG – USA, Canada, Australia, New Zealand, Israel and Turkey are included. Whereas Kiribati, located in the Pacific Ocean geographically near to Australia and New Zealand, is part of the Asia-Pacific Group. It is very strange that Israel is part of the WEOG. It is neither in Asia nor in Africa. This shows the political duplicity of the United Nations. When the UN was established, Gladwyn Jebb of Britain was the first to hold the post of Acting UN Secretary General. In fact, he was appointed for nearly four months from October 1945, until Trygvie Lie of Norway from the Western Europe was elected in February 1946. As the former USSR didn’t endorsed Trygve for the second term, he served until November 1952. He was succeeded by Dag Hjalmar Agne Carl Hammarskjöld of Sweden in April 1953. Dag Hjalmar was killed in a plane crash in 1961. Then U Thant of Burma (now Myanmar) from the Asian group took over and served until December 1971. U Thant’s successor was Kurt Waldheim of Austria from the Western Europe group. He served until December 1981. There are many mysterious stories about Waldheim. He was accused of being a member of Hitler’s National Socialist (Nazi) Party and an officer in the Wehrmacht (German armed forces) during World War II. In other words, he must have known about the transfer of Jewish people to concentration camps and massacres. But Waldheim denied his participation in crimes carried out by the Nazis. These accusations were brought to public only after he left the UN, while trying to contest for the second time in the Presidential elections in Austria. At the end of Waldheim’s term, Javier Perez de Cuellar of Peru from GRULAC took over and served until December 1991. His successor was Boutros Boutros-Ghali of Egypt from the African group. Due to many political reasons Boutros-Ghali could not serve his second term and he was succeeded by Kofi Annan of Ghana in January 1997. Kofi Annan served his two terms successfully until 2006. 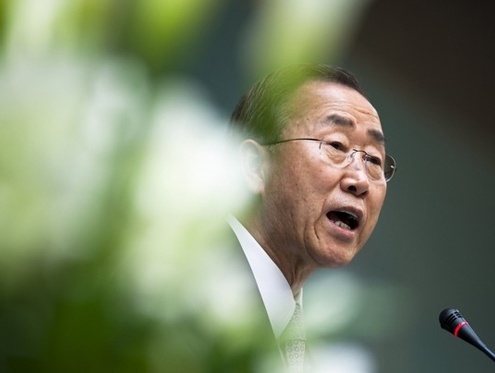 Then it was the turn of the Asia-Pacific group and Ban Ki-Moon of South Korea, has been serving since January 2007. When the entire list of UN SGs is considered, there are two obvious facts – not one of them is a woman and no-one has served from the new regional group of Eastern Europe. This concern had been raised by some Eastern European countries and many have raised the gender equality issue on numerous occasions. As these two serious concerns are being raised globally, will this persuade a woman from Eastern Europe to become the next Secretary General? Will the men who are already in the forefront allow a woman to be the next SG? The general understanding among the five permanent members of the UN Security Council – France, UK, USA, Russia and China is that they will not nominate a candidate from their countries. As the present Secretary General Ban Ki-moon started his second term on 1 January 2012, procedures for the selection of the next SG will start next year. When we talk about the post of SG, it’s notable that Kofi Annan once said that ‘SG’ stands for ‘Scapegoat’. The Secretary General has to take on many responsibilities, burdens, criticisms and accusations. So far there are four female candidates from Eastern Europe who have shown their interest in this high profile job. They are, former Foreign Minister of Bulgaria and Director General of UNESCO Irina Bokova; President of Lithuania Dalia Grybauskaite; Deputy President of Croatia Vesna Pusic and Bulgarian Economist and European Commissioner for the Budget, Kristalina Ivanova Georgieva. At the same time, there are six male candidates from the same region who also have shown their interest. They are, Danilo Turo former President of Slovenia. 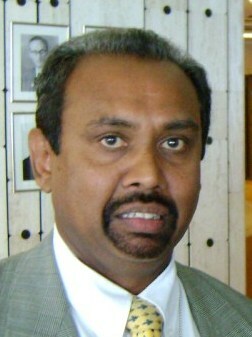 Danilo Turo has held many high positions in the UN. He was the Assistant Secretary General from 2000 to 2005, the President of the UN Security Council from 1998 to 1993 and a member of UN Human Rights Committee; Vuk Jeremić former Foreign Minister of Serbia and the President of the UN General Assembly until September 2013; János Áder, President of Hungary; Dan Mircea Geoana former Foreign Minister of Romania; Miroslav Lajcak, the deputy Prime Minister and Foreign Minister of Slovakia and Jan Kubi, who is a former Foreign Minister of Slovakia. Other than these possible candidates from Eastern Europe, there are some from WEOG who have shown interest. UN High Commissioner for Refugees and former Prime Minister of Portugal, Mr. Antonia Guteres; Prime Minister of Denmark Mrs. Helle Thorning-Schmidt and former Prime Ministers of Australia Kevin Rudd and New Zealand Mrs Helen Clark have their eye on this prestigious job. In the regional grouping, Australia and New Zealand come under WEOG. If we consider the regional groups and their turn to have the UN Secretary General post, each region gets their chance only once in 40 or 50 years. But the Western European group had at least three elected SGs. In the selection of the SG, the former USSR and USA used their veto power on two occasions. In 1950, USSR used it on the re-appointment of the first Secretary General of the UN, Trygve Lie of Norway. He resigned his post in November 1952. USA in November 1996, under President Clinton’s administration, vetoed the re-appointment of Boutros Boutros-Ghali of Egypt. So it is a difficult task to find someone acceptable to all five permanent members. Let us wait and see whether the world’s most popular inter-governmental body will respect gender equality and regional rotation, in the next selection of the UN Secretary General. WikiLeaks: Human Rights Minister Vows Not To Take Part In "White Wash"
The UN is a powerless institution today that writes reports using reams of paper and ends up not solving any of the world problems. In the good old days, there was a strong non-aligned group within the UN. Today,if a woman is proposed by USA, she will get elected. This article should be forwarded to the White House. He and his Indian chief of staff must take full responsibility for the massacre of Tamils…Indeed this was done as a family affair …still there are many UN staffs are ready to give witness about the double game of this Malayali Indian chief of Staff….who has made stop over in Delhi twice during his return from Colombo to New York when the massacre was at its peak ….and for what? 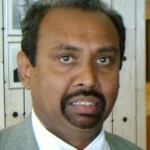 The private bank accounts and properties of all Indians (and their relations ) at UN New York ,…In Delhi and Chennai who have involved in Sri Lanka affairs should be investigated …these guys will do anything for money…such corpse eating vultures..
Rudra Kumaran TGTE……………….. lets support our man. According ex-Secreatyr General Boutros Boutros Ghali there will be another 10 independent nations in the pipe line …who knows one day a Tamil can become UN Secretary General ..
LOL that will be the end of the UN. How about Gotabhaya Rajapakse? He is a champion! If the want a woman, shall we send Keheliya Rambukwela?? You are right, he is unemployed and want to jump branches like a monkey in the pretext of his wife!! Whoever comes as UN SG whether it be a man, woman or a devil, he or she or the devil has to dance to the tune of US. There is no two words about it. Boutros Boutros Ghali was the only UN Secretary General refused to dance the tune of America….a very smart guy was denied second term for his neutral policy……..
1982 India withdrew from the contest for Secretary General following the request of Peru …otherwise a Tamil Narashimman would have taken this seat.. There should be a severe punishments for all these murderers to stop majority butcher minorities…..
Ban Ki-Moon was an absolute waste of space. He stood for nothing, believed in nothing and achieved nothing. He was easily the most ineffective and inefficient UNSG in history. Compared to him, anyone can do a better job.